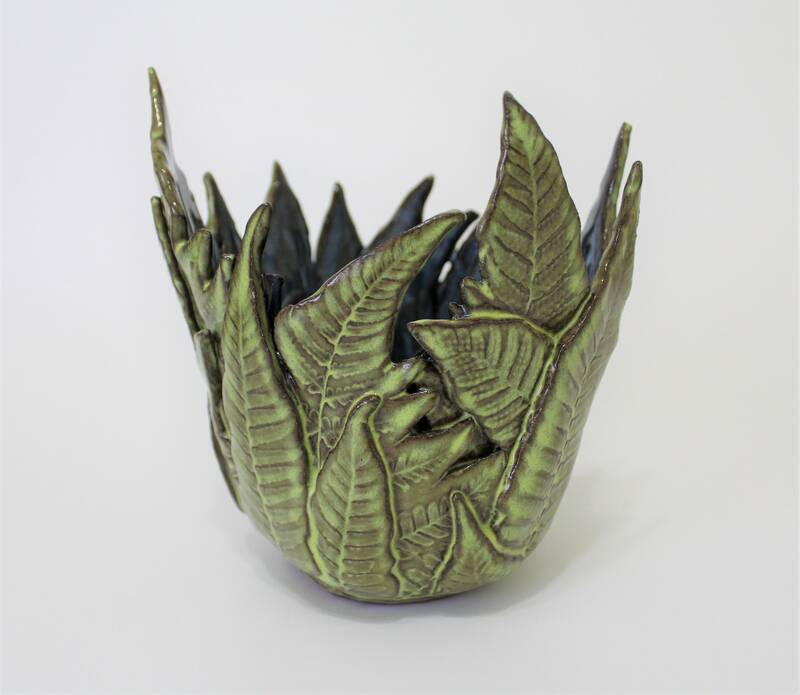 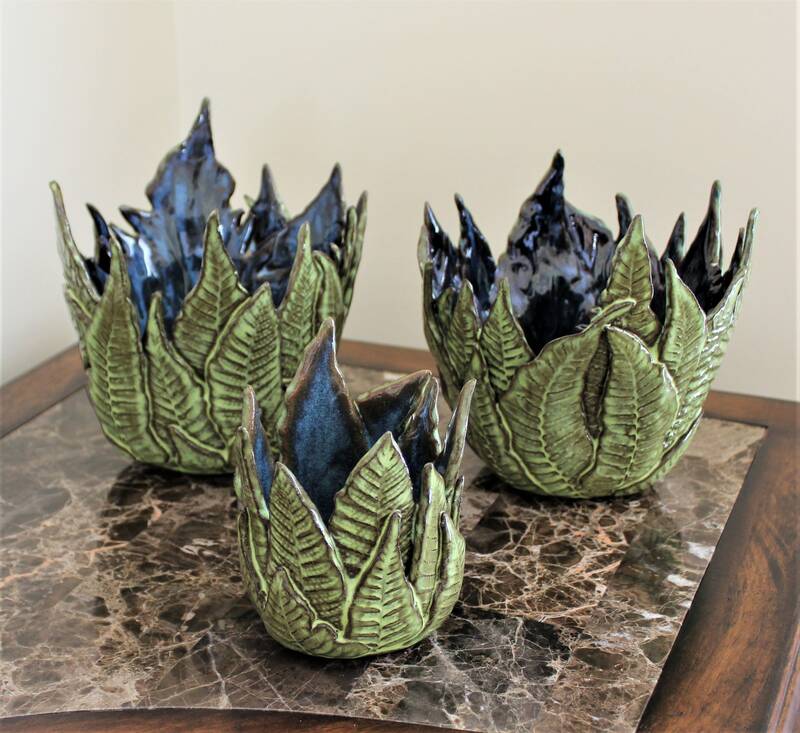 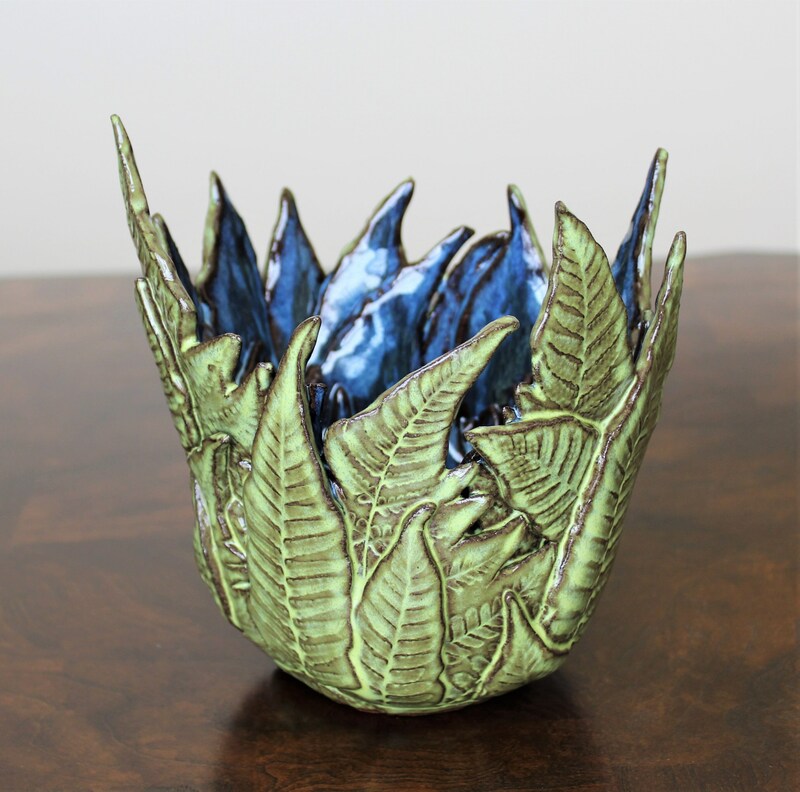 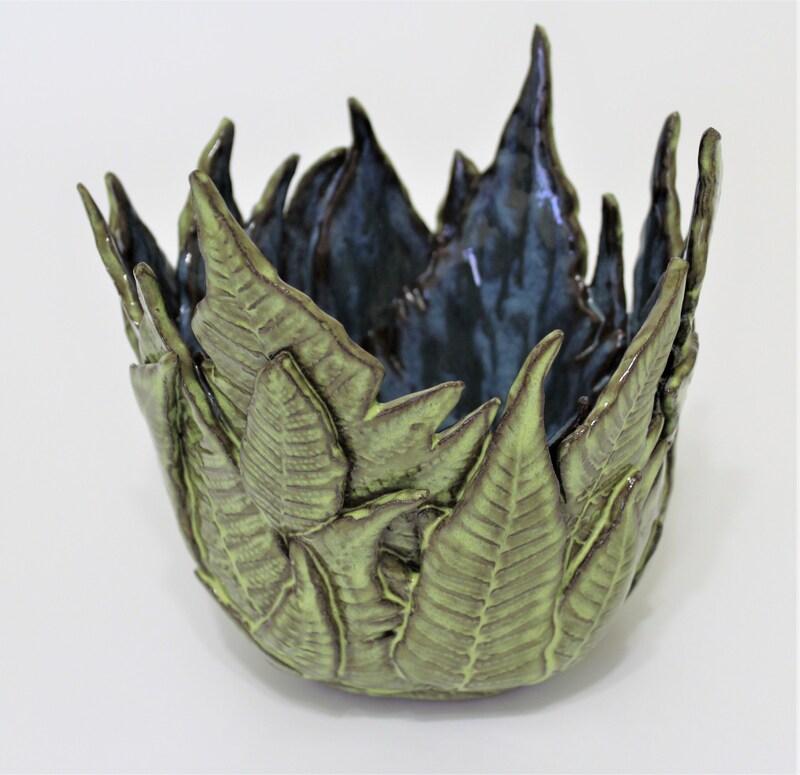 My handcrafted fern vessels are a one of a kind item that can be used as a candle holder, a potpourri holder or as a planter to hold succulents, cactus and other small plants. 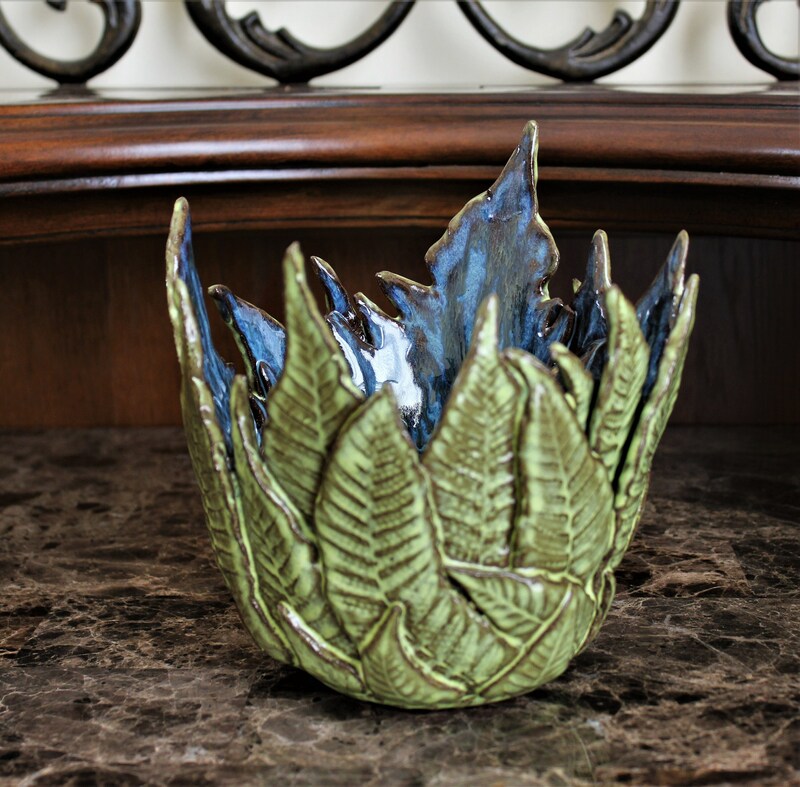 To create these vessels, each fern leaf is pressed into stoneware clay slabs, then intricately cut and assembled into a vase or bowl shape. 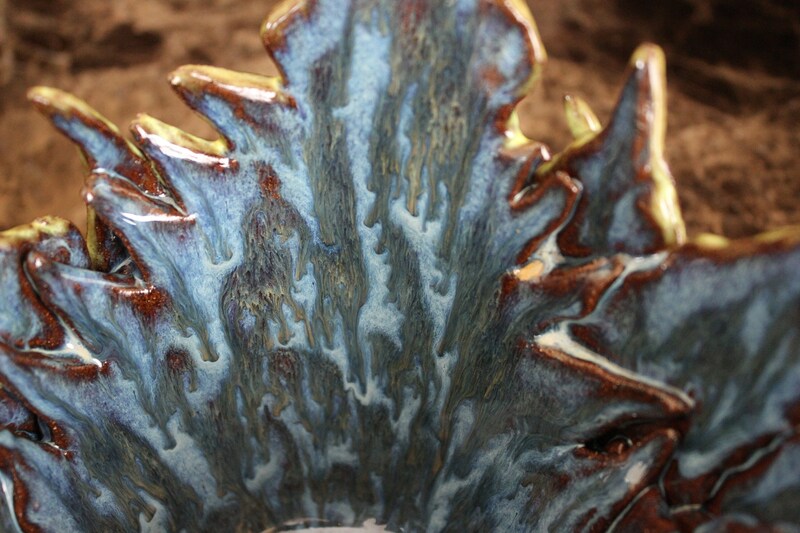 Hand glazing with various colors and application processes produce a visually pleasing flow of color on the inside. 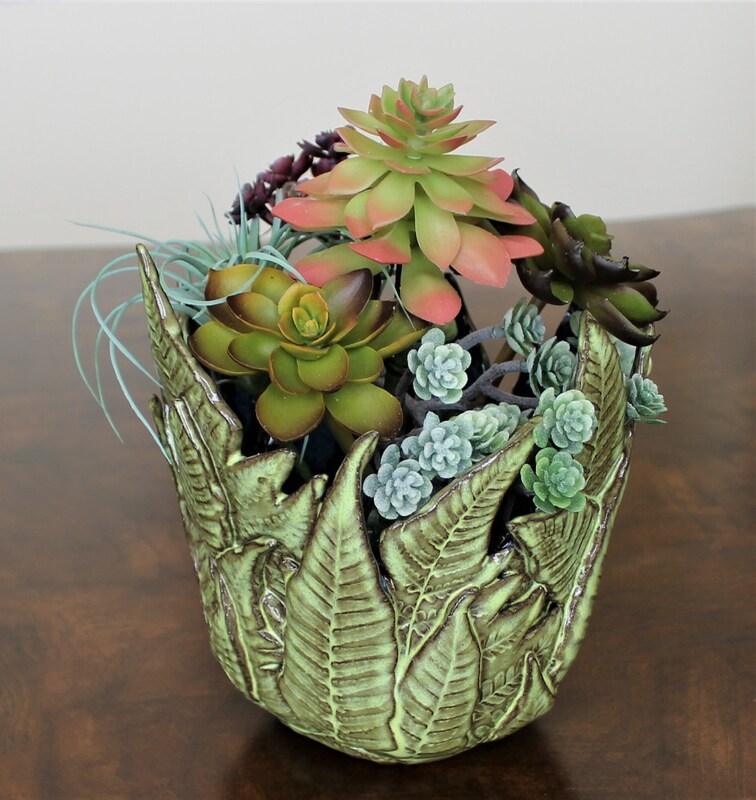 What a great gift idea for a nature lover, or anyone who likes to decorate with plants. 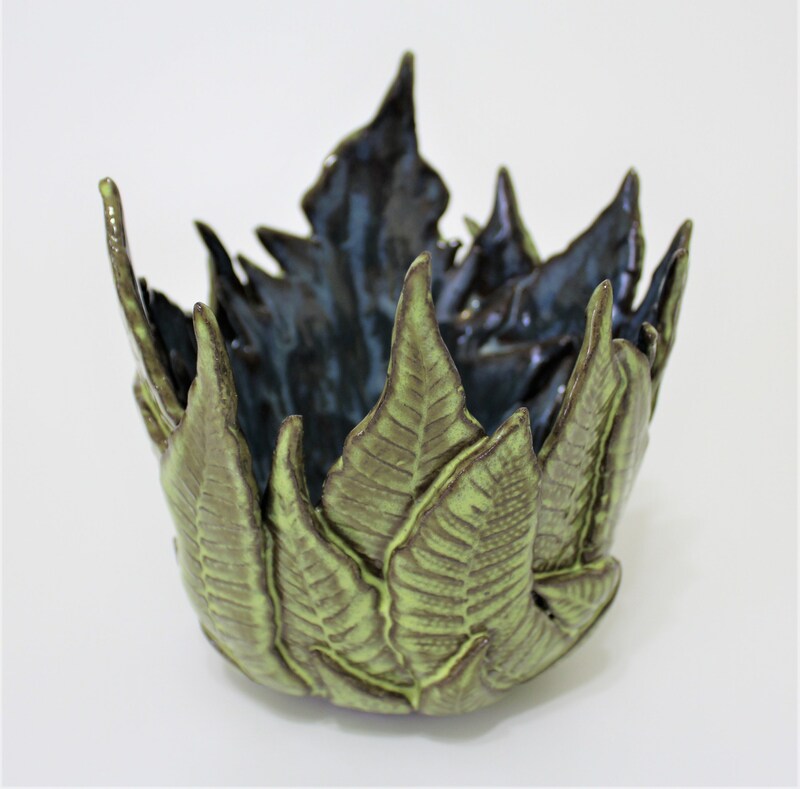 Kiln-fired to cone 5, they are a decorative piece of art, and are not intended to be used to serve or hold food. 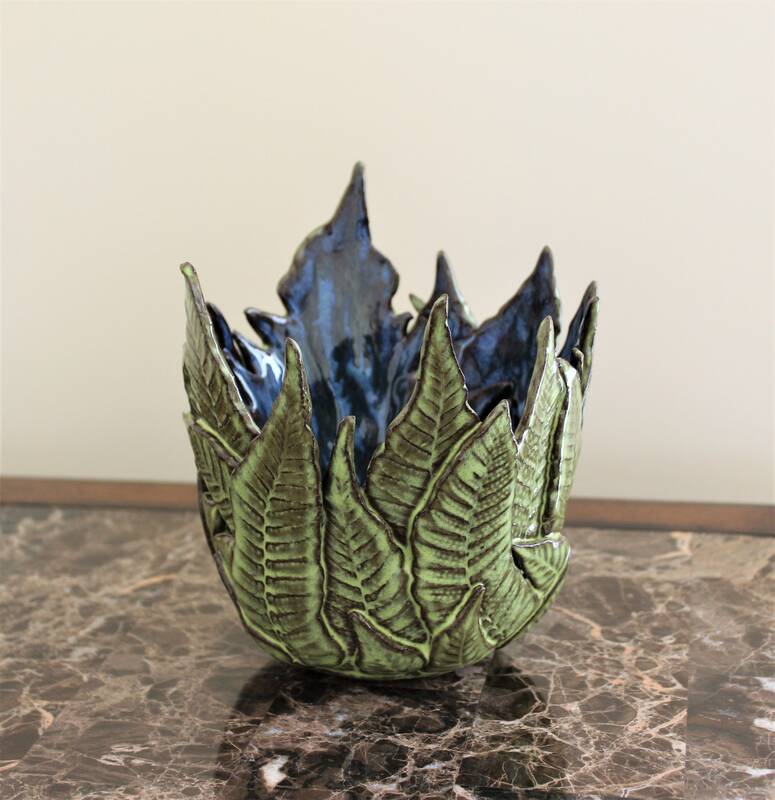 I offer FREE SHIPPING on this item.